Embrace your inner cat with this light-hearted self-help book. From living in the moment, trusting your sixth-sense instincts, to taking cat naps and even going feral, this book will show you how to benefit by unleashing your innate cattitude.Cats' ability to seize the day makes them excellent examples of how to make the most of every moment; whether it's playing an impromptu game of chase the sock, or an opportune swiping of a slice of roast chicken, our cats have it sorted. 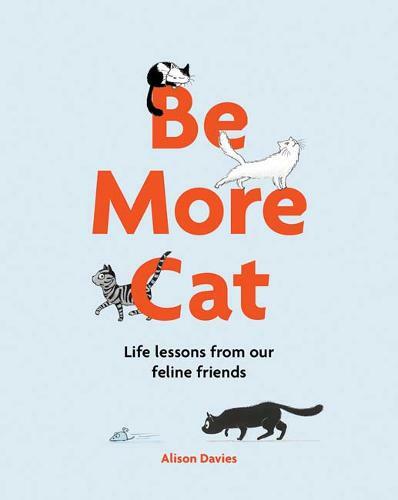 They're flexible but also prepared to tread their own path and they recognise the importance of play and rest in equal quantities.This book reveals the nine different traits that you can take on board to Be More Cat and live a happier, healthier and all-round 'feline fabulous' existence. Packed with practical tips and exercises, interspersed with folklore and fun facts about our kitty gurus, there's something for everyone. So stretch out, relax and learn the art of being more cat.